Over the past year, I have learned more and more about how toxins are all around us and how these toxins could be affecting our health. It’s amazing the body (our bodies) can do the job as well as it does in keeping us healthy. Or, should I say, it’s amazing we aren’t any sicker as a society then we are with all the toxins we are exposed too! Toxins surround us, toxic chemicals are in our air, food, drinks, cleaning products, and other sources we come in contact with. I did a little google searching for some of the most toxic chemicals we come into contact with every day. Crazy, but the most common was one we don’t even know we are exposed too. Laundry soap! Yep, it’s a sneaky, nasty one for sure. Did you know the largest organ of our body is our skin? Your skin is like a sponge, it absorbs nearly everything it comes into contact with, including any toxic chemicals used to clean your clothes. According to the Environmental Working Group (EWG), most store-bought cleaning products contain toxic chemicals that are known to cause skin rashes, asthma, and even cancer. And these nasty toxins are in most of our laundry wash detergents! In one report, in the US alone, the average family washes approximately 80 pounds of laundry per week – or 35 billion loads of laundry per year! That’s around 17.5 billion cups of chemical detergent are used each year! And every time you do your wash, you may be adding chemicals unto your clothes which does not wash out and could easily and potentially wreak havoc on your health. 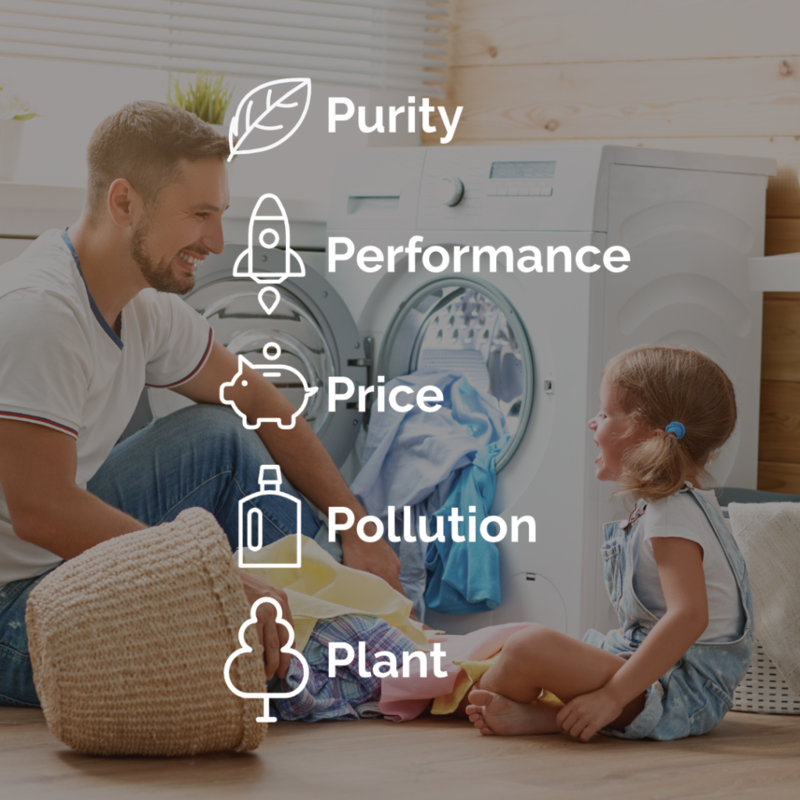 Furthermore, another study from Sciencedaily.com in 2011 found that when top-selling liquid detergents are used to launder clothes, hazardous chemicals are emitted from dryer vents when those clothes are drying. Not only can you come in contact with caustic chemicals via your clothing, from having been laundered in them, but you can breathe them into your lungs once they become airborne in the process of doing your laundry. The list of nasty toxic chemicals in laundry detergent can be a long list thanks to toxins in fragrance, colors, and chemical stabilizers. Some even contain formaldehyde (listed as formalin), the same stuff used to preserve dead bodies! Do you know what’s in your laundry soap? Check to see where your brand ranks (from “A” to “F”) at the EWG laundry detergent safety ratings. In this study, 152 brands received an “A.” But there is still a problem, many of these products are still showing concerns about asthma/respiratory, skin allergies & irritation, development & reproductive toxicity, cancer, and environment concerns. Environment? This is a whole problem in itself that we will touch on later in this post. So, how can this be? These products have received an “A.” Here is the scary part – The detergent you’re using may contain a cocktail of potent cancer-causing chemicals, some of which the manufacturer doesn’t even have to list on the label. This loophole reduces the odds that you’ll ever discover what’s in there. If you look up any of these chemicals, you are going to find a list of health concerns. Add several of these chemicals together, and this cocktail becomes a chemical of its own. Remember in high school science, the lab teacher always warned us about combining chemicals. There was a reason!!! Worse yet, all these chemicals are stored in your home and now in the air of your home. Hard to believe but most often and proven, your home air is up to 70% more toxic than outside air. I know, when most people think of pollution, they think of the outdoors, downtown busy streets and highways, garbage, polluted streams or industrial waste. And, if you’re like most of us, you probably spend a large portion of your time indoors – as much as 80 to 90 percent of your life. You work, study, eat, drink and sleep in enclosed environments where air circulation may be restricted. And, these toxins are locked in! There has to be a safer, better, and greener alternative. There is! And I am going to share five benefits (or should I say 5 P’s) making this choice of products a win, win, win, win, win for all! Purity, Performance, Price, Pollution, Plant a tree! 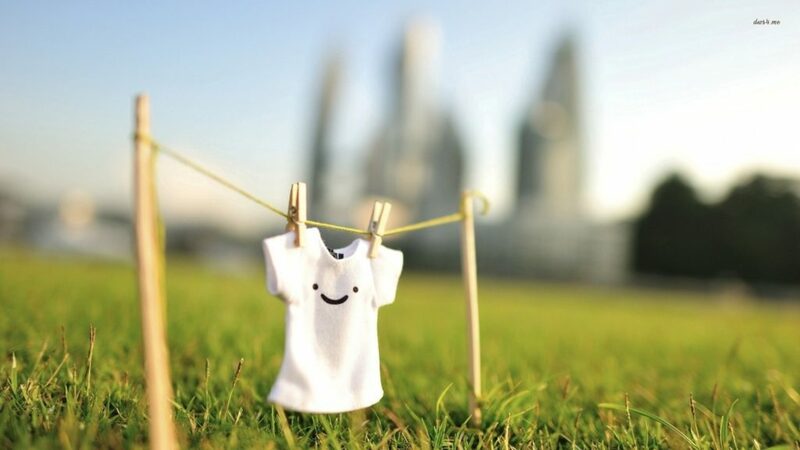 Welcome to the Happi Revolution – Laundry liquid that’s making a difference! A powerful, all-natural USDA certified organic cleaning formula that not only helps cleans your clothes but cleans the planet too! Purity – As we have discovered, most laundry wash is full of undesirable chemicals. We need to say NO to using these chemicals. Happi soap is wild harvested, fair traded and 100% safe & made with certified organic ingredients with no GMO’s or hidden nasties! Performance – Happi powerful natural cleaning ingredients have proven to outperform better than the big brands. Yep, the happi formula has been independently tested to outperform leading laundry products by 61% of 8 tests! This powerful blend can get even the toughest of stains out and gives your clothes a real clean. Price. – The cost of your laundry liquid just got a whole lot cheaper! Your once a year Happi purchase not only saves you the hassle of continually buying new laundry detergent, it also saves you 60% on your laundry liquid costs every year! Happi laundry soap comes in a packet enough for 400 loads. Four hundred loads will cover the average household for a year! And, with using the link, we have furnished for you at the bottom of this post…you will save an additional 30%. making your laundry wash only .14 cents per load. Pollution – As we just mentioned, Happi will wash 400 loads (1L / 34 fl oz). Every purchase reduces an average of 13 plastic bottles from our environment, per household per year! By using one bottle and refilling with paper pouches, you can help stop plastic waste in a big way! Most laundry liquid contains 90% or more water! Large bottles give a higher perceived value to the consumer. This common marketing trick is creating lasting and irreversible environmental impacts. Plastic waste in our landfills and oceans has become a big concern and rightfully so! Approximately 5.25 trillion pieces of plastic debris fill our oceans alone. Around 269,000 tons float on the surface, and billions of plastic microfibers cover the deep sea! We have all heard of the phrase “we are what we eat.” If that’s true, then we have to assume “we are what we eat eats.” With all this plastic pollution in our oceans, these plastic microfibers are contaminating our ocean wildlife, poisoning our fish! Over the past several years we have been cautioned of eating fish with high levels of mercury. Now, even a bigger problem, we are eating fish with high levels of BPA. Yep…another toxin and possible cancer causer! Plant a tree.- What does planting a tree have to do with laundry soap? The above four benefits are all about making a positive change and benefit us personally. Planting a tree helps clean up our environment. To give back to our environment, even more, Happi has dedicated a forest in Myanmar called Happi Forest where we plant mangrove trees for every Happi purchase. Cool right? Mangrove trees are being destroyed at an alarming rate. They must be both protected and replanted as they have an extremely high rate of carbon sequestration which is in the vicinity of 5 times that of a regular forest tree. Our mission is to help restore and replant these vital ecosystems. Every Happi purchase plants you one tree in the Happi Forest. Join the happiearth movement and play your part in giving back to our environment. Who thought buying laundry liquid could do so much? Revolutionize the way you wash and help create a Happi Earth! Help us plant 1 billion trees.